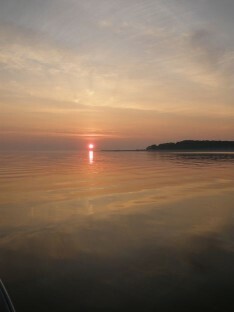 Free Fishing Reports > Northeast > New York > North Shore > Fathers Days Morning Bass-Slam! Our Annual 5 AM. Fathers Day trip was another for the record books. 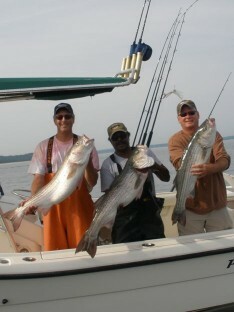 Regulars, Don and Skip, and newbee to Fathers Day AM , Rich were all treated to a slay-fest of Bass. All three banged the Bass and were limited out in 30 minutes! Don , Rich and Skip all had fish between 13-23 lbs. The final fish of the morning was a 42″, 30 lb. 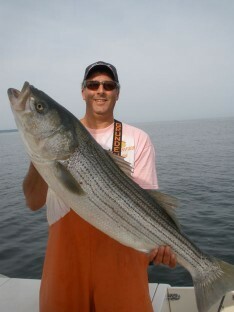 Bass caught by the Capt., which he graciously released with many others. The crew was home by 9;30 am to enjoy the days festivities with their families.